Saxman Site in Rice County, Kansas. 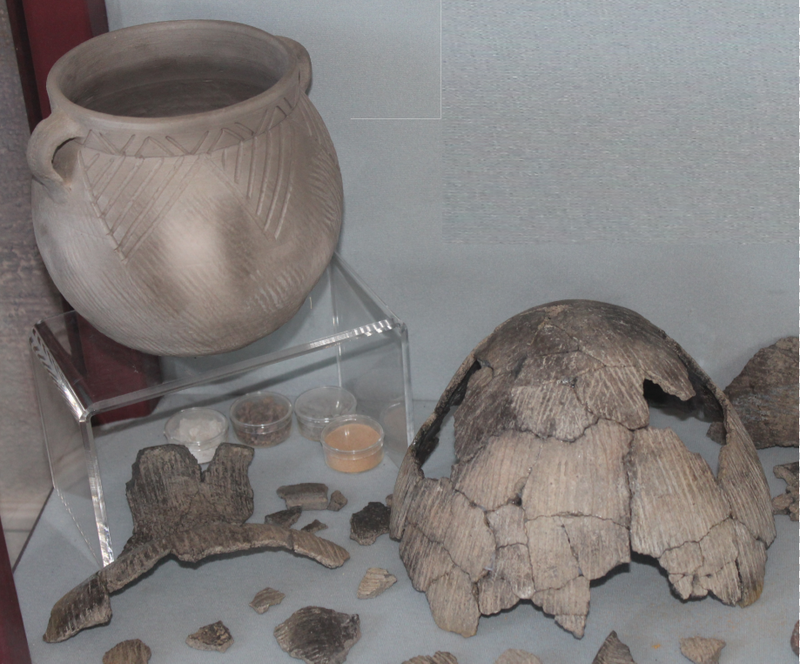 Partially reconstructed pot and pieces came from an excavation in Rice County. The Saxman site, a large Great Bend aspect village site (which became a National Register listing in 1976), was occupied by the protohistoric Wichita tribe. The shards come from a real pot while the complete one is a reproduction.